So far, season four of Battlestar Galactica has featured (for me, at least,) some of the series' sharpest writing. Gone are the filler plots with black markets, boxing matches, and Fat Lee. Instead, we get the series stripped back to its bare bones, with desperate humans forming an extremely shaky alliance with their most hated enemies. 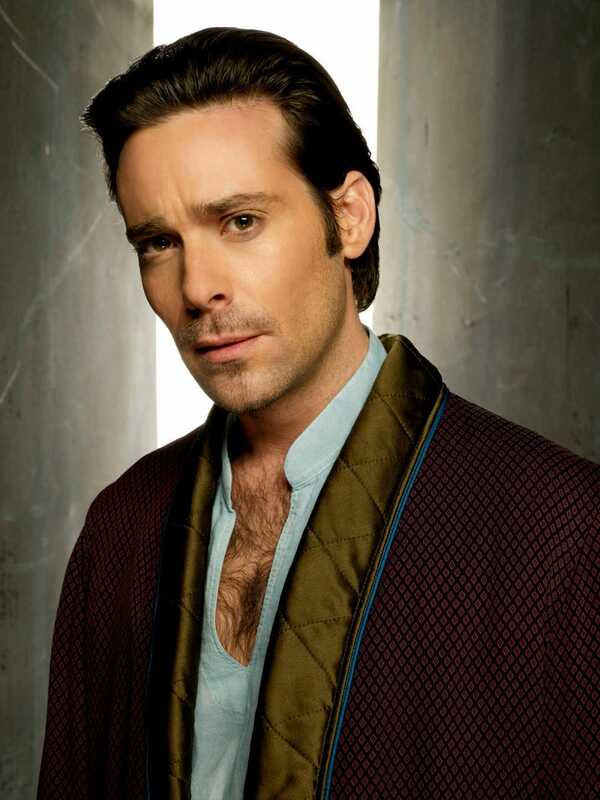 The best part of this season, hoewever, has been none other than Gaius Baltar himself. From the beginning, I hated him. Chalk it up to the writing or James Callis' amazing acting chops, but I genuinely sneered whenever he appeared on the screen. He was repugnant. Then, he cut and ran after the occupation of New Caprica. He lived among the Cylons for a while, learning of their concept of monotheistic religion as opposed to the pantheon of the Lords of Kobol. He underwent huge change, facing death, torture, and coming to terms with the level of betrayal he had committed against his fellow humans. He hoped desperately that he could be a Cylon himself, as it would allow him to put aside the guilt he felt, but when he discovered that when he was indeed human, it forced him to finally face it and learn to live with himself. He became a new spiritual leader and called President Roslin to account for the decisions she made, out of genuine weariness of the constant double dealing, incompetency and hypocrisy her administration was constantly carrying out. Yet, throughout all of it, he still retained that selfish core that made me hate him so much at the beginning; hell, he tried to convince a Cylon Centurian that it was being treated as nothing better than an attack dog when he had nothing to gain from it except starting yet another schism withing the already-fracture ranks of the Cylons... but for some reason, now, I loved it. Also this. Let's not forget this. So far I'm up to Baltar getting damn near sliced in half and Roslin patching him up, but I've got to say, this is definitely my favorite season of the show and Baltar has definitely become my favorite character.